When pastoralist women know and understand their rights they can defend themselves, protect their families and support their entire community. Many modern legal and human rights remain unrecognised in Maasai patriarchal society, particularly where they concern the individual ownership and protection rights of women. PWC is helping whole communities understand their legal and human rights and supporting women to defend them. We believe it is essential to equip women with the knowledge and skills that will allow them to defend and protect their basic human rights. We have been working to ensure that communities are empowered to manage, make decisions and claim the benefits from their natural resources. We been building capacity at different levels; helping to form natural resource committees, holding meetings with councillors, traditional leaders and young people and forming women’s forums across two districts. In 2016, with PWC's support, 160 vulnerable women in Ngorongoro District secured plots of land for housing and farming. Gender-based violence remains an issue within patriarchal Maasai communities. We work through WRLFs to provide education to women in on their legal rights of protection and security and empowerment for them to report and resolve these issues. In 2016, 27 cases of domestic violence were reported to local authorities and successfully resolved. Women remain under-represented in Maasai culture within their local communities and local and district government and decision-making bodies. PWC is increasing women's participation and representation in leadership and decision-making roles through leadership training and advocacy for inclusion and advancement of women. Following the establishment of the first ever Women CBO in the Ngorongoro Conservation Area (NCA) in 2014, PWC has worked to strengthen the organisation through leadership training on roles and responsibilities, the formation of working committees, and development of a Strategic Plan. PWC’s ongoing progress with women’s development in Ngorongoro is illustrated by an increase in the number of Maasai women elected to the Ngorongoro District Council in 2015. 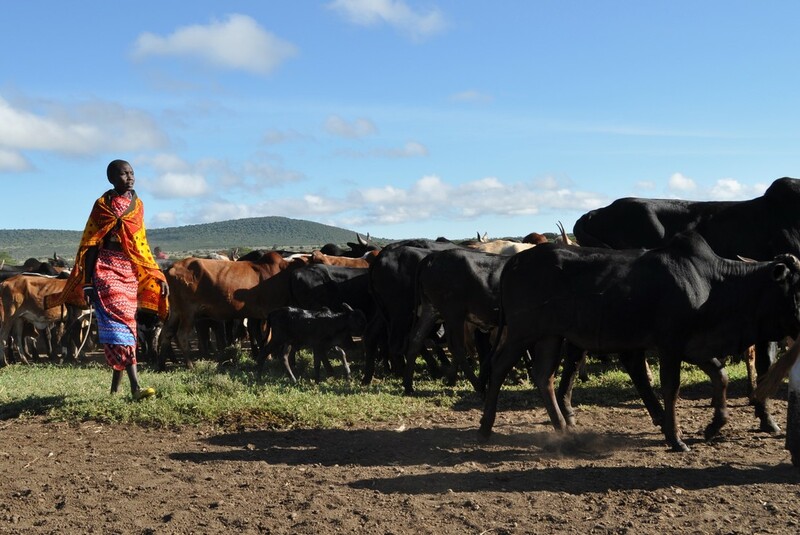 Since 2011, PWC has supported pastoralist women in Ngorongoro to establish Women’s Rights and Leadership Forums (WRLFs) which work at the community level to educate about and defend women's rights, strengthen women’s leadership and public participation, and enhance women’s economic empowerment. Building on more than a decade of community engagement and development, PWC established the WRLFs as a platform for communities to discuss and resolve a wider variety of issues facing women and girls, including land and property rights, domestic violence issues, instances of child marriage and the inclusion and promotion of women as civil leaders and economic contributors in their communities. resolving gender disparity and rights violations relating to ownership of land and property. In 2016 PWC supported the work of 240 members of WRLFs in ten villages in Ngorongoro District. 10 village councils and 240 WRLF members were trained on property and land rights, case reporting and court procedures. 70 groups, village leaders and traditional leaders in Longido District were also trained on gender rights. To date, more than 350 women have applied and received plots of land, increasing food security for families and challenging cultural norms about women’s ownership of property. Now women stand and speak directly to the meeting about matters that they think should be discussed, or make arguments for their views to be considered, or present issues that they have decided on. This effects a positive change, especially in regard to the community regaining control over the land and trying to own it. Woman are particularly strong on this, stronger than men. Read a review of our WRLFs by independent development org Maliasili Initiatives. Read about Esupat's journey from WRLF founder to elected local leader.